Ta-da! The cover fairies have been at it again! FEBRUARY OR FOREVER will be released on 1st Feb 2014. And you can add it to Goodreads HERE. This is the second book in my new Tarrin’s Bay series, perfect for those who like romance and women’s fiction set in small towns, especially towns by the beach. 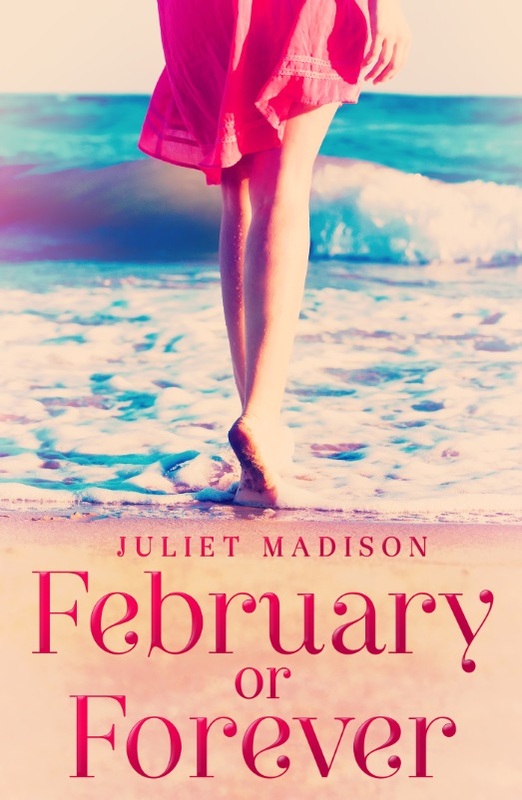 February or Forever is one of my faves, and with this and all books in this series I guarantee you a beautiful setting, true to life characters facing compelling issues, gotta-be-together romance, family drama, and friendship. Overall; rich, heartwarming stories with a happy, uplifting ending. Yoga teacher and single mother, Chrissie Burns has a plan: move into the rundown beach house left to her by her deceased aunt, renovate it, sell it, and move on. The scene of a terrible accident years ago, the house needs to get out of Chrissie’s hands as soon as possible. But Tarrin’s Bay, where the house stands, has more to offer than bad memories. The town is lovely, the people friendly, and even Chrissie’s young son finds friends and begins coming out of his shell. Employed at Serendipity Retreat as a yoga instructor, Chrissie is shocked to be given the role of private teacher to Drew Williams, Australia’s top singer/songwriter for the month. Relationships between instructors and clients are strictly forbidden, but Drew draws happiness out of Chrissie with his down-to-earth nature and sense of humour. Days of stretching and bending may bring Chrissie unexpected peace and strength, but she knows that this interlude must end, and there’s no pose or position to aid her when Drew walks away and leaves her broken-hearted. I just love the colours in this cover, and the image is perfect for the story – you will see in the ending of the book why it is so right! Posted on December 6, 2013, in Announcements, Book Covers, Books and tagged 2014 releases, book covers, cover reveal, escape publishing, february or forever, tarrin's bay, Tarrins' Bay Series. Bookmark the permalink. 3 Comments. Love the cover, Juliet! And the story sounds good, too!